A very common and traditional Italian sausage made from equal portions of minced beef, pork and fat. 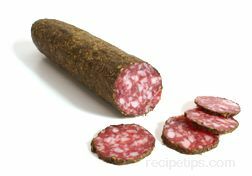 The salami is seasoned with garlic and pepper, moistened with white wine and dry cured. 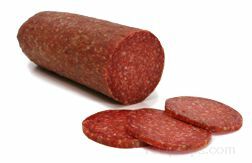 Milano Salami may also be referred to as "crespone" salami when made as a traditional Old World sausage stuffed into a small, irregular-shaped casing.